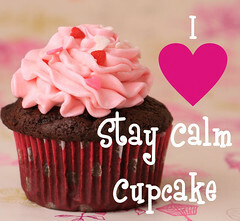 Vanilla | Stay Calm, Have A Cupcake! 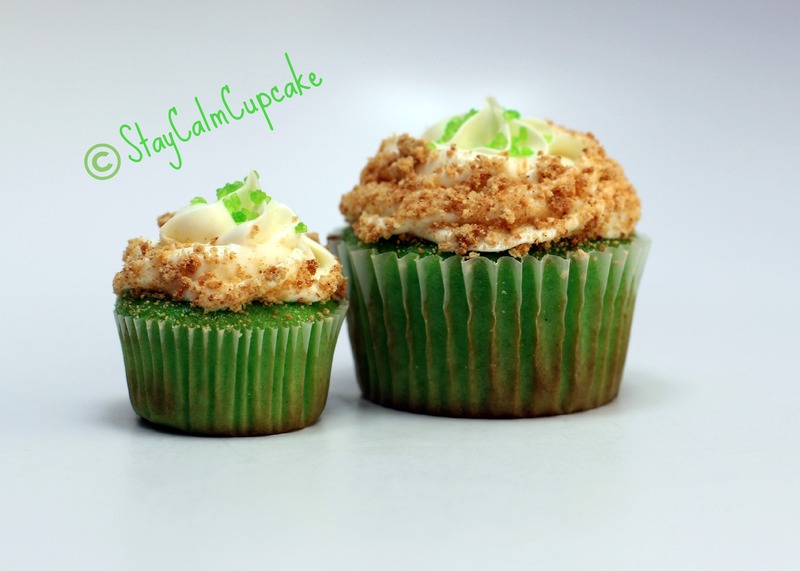 So here it is friends, the long awaited and much requested Key Lime Pie Cupcake recipe! Just in time for all of the green festivities that St. Patrick’s Day brings us next month. Sift together flour and baking powder. Set aside. Cream butter and sugar together until light and fluffy. Set aside. Beat egg whites with hand mixer until stiff, but not dry. Set aside. With your stand mixer at slow speed, add flour mixture to butter mixture, alternately with milk. Beat well after each addition. Gently fold egg whites into batter. Bake for 18-22 minutes or until tops are lightly browned and toothpick comes out clean. Combine the cream cheese, sugar, and vanilla extract in the bowl of your stand mixer. Use the whisk attachment and mix on medium speed until smooth. While the mixture is still whipping, slowly pour in the heavy cream. Stop and scrape the bottom of the bowl a couple of times while you continue. Continue mixing until the frosting can hold a firm peak. Do not over beat though. Once your cupcakes have cooled and your frosting is ready – pipe frosting onto each cupcake. 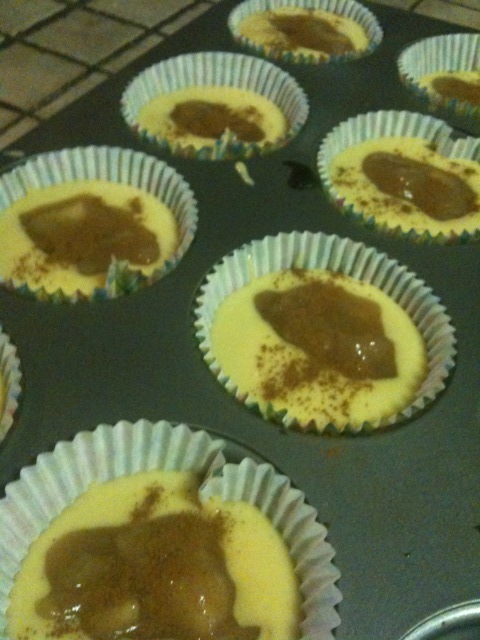 Place the graham cracker crumbles on a plate and roll the edge of the cupcake in the crumbs. Sprinkle each cupcake with lime zest. Finish with a few lime green sugar sprinkles. There you have it! Fun, festive, and delicious!! Until next time, Stay Sweet! Everyone loves a delicious cupcake for their birthday, right? Duh! It’s even more special when those cupcakes are homemade. 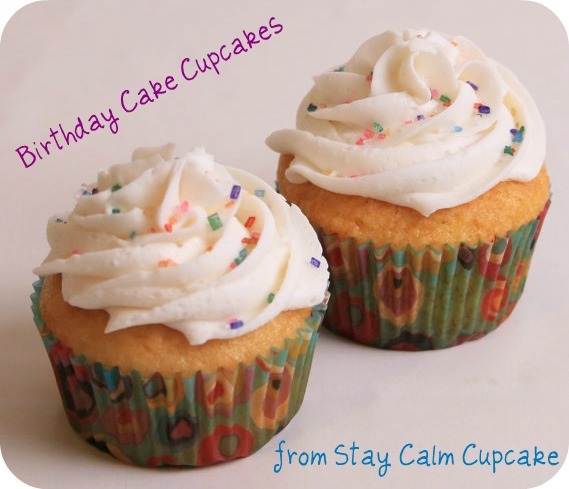 So today, I’m going to share a REALLY simple recipe for Birthday Cake Cupcakes, known in the world of box cake as “Funfetti”. Let’s get started!! ~ 1/3 cup of rainbow sprinkles. I like to use rainbow sanding sugar or rainbow jimmies. In an electric mixer cream together the butter and the cream cheese. Beat for 2 minutes until light and fluffy. If your frosting is too thin – add more powder sugar. If your frosting is too thick, add in a tbs of milk. Decorate with rainbow sprinkles and enjoy!! Now that’s a perfect birthday cupcakes! Hope you are all having a great week so far. Hope everyone is making it through the week. Tomorrow is Friday!! Yay! Friday is wonderful all on it’s own, but tomorrow is even more exciting because I get to announce the WINNER of the fabulous McCormick Halloween Giveaway. You’ve entered, right?? Ok, good! I wouldn’t want you to miss out on this awesome gift basket of baking goodies. I bought some really fun cupcake liners this week and thought they were perfect for Halloween inspired cupcakes. 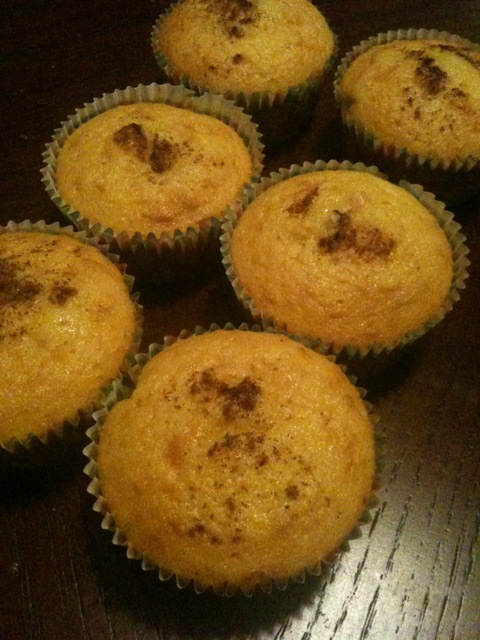 I wanted to share some photos with you of my simple, but very yummy Orange Cream Cupcakes. My decorating style is simple and classic. I think a perfect frosting swirl and the right amount of sprinkles go a long way. What’s your decorating style? More elaborate, or simple and classic? 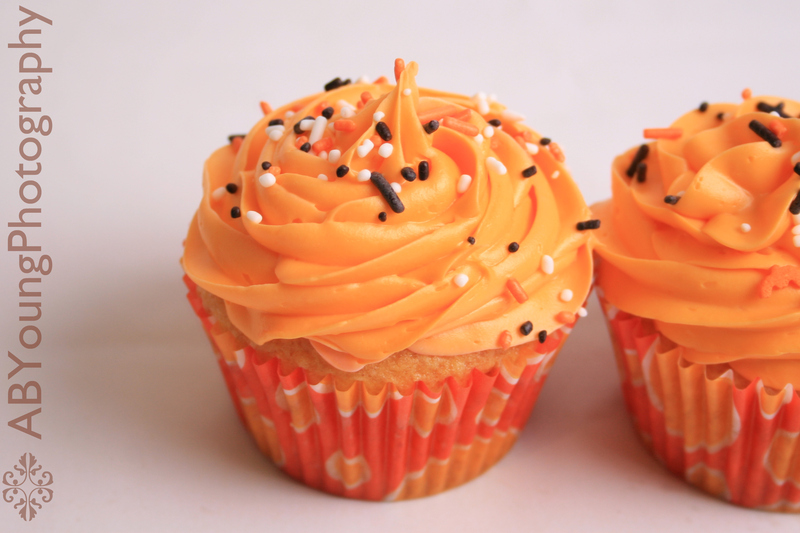 I love the funky orange cupcake liner! 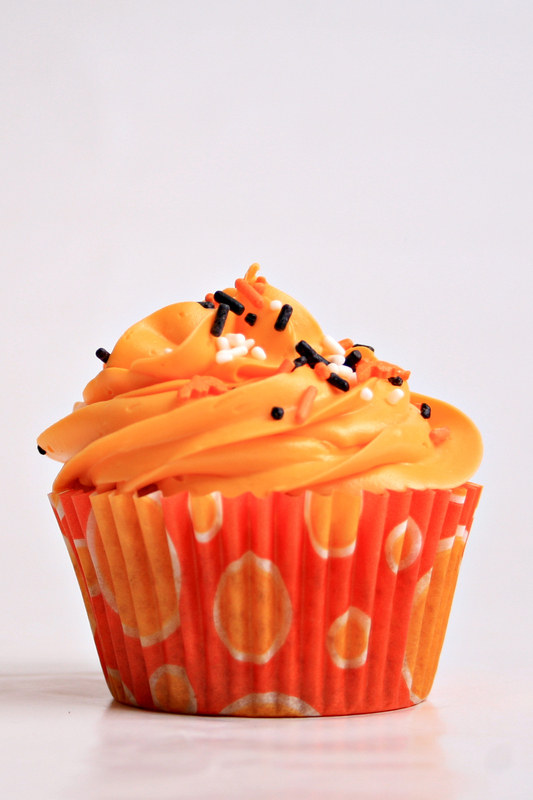 Orange Cream Cupcake with Vanilla Frosting - Dyed Orange for Halloween, of course! Alright, I’m back! Sorry for being away for the better half of last month. If a crazy work schedule, endless amounts of late night baking, and an almost consistent stream of delivery orders aren’t good excuses…well then, I don’t have an excuse at all. 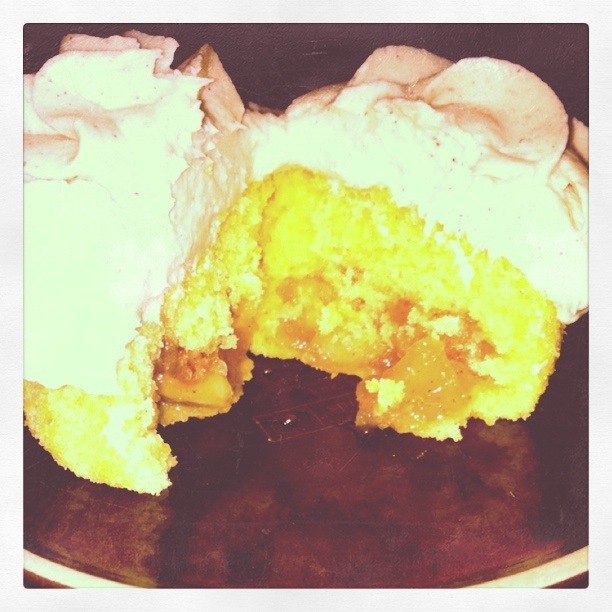 Hopefully this SWEET recipe for apple pie cupcakes will help you forgive me. I recently got a mini pie maker (yes, miniature, personal pies! Squee, I was so excited when I saw it on sale. I could not have physically left the store without having it as my own!) Making mini pies got me thinking though. 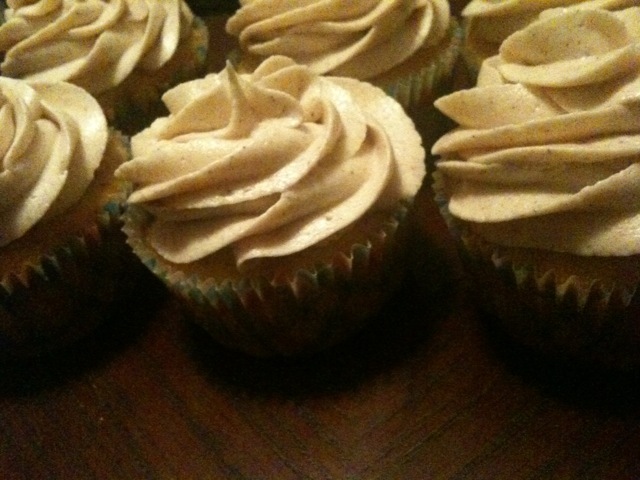 A warm vanilla cupcake stuffed with apple pie filling and topped with cinnamon brown sugar frosting sounds really yummy! And I was right – it is so delicious. Even better – it’s just in time for the holidays! In a mixer with a whip attachment, cream the butter until light and fluffy. Add the sugar and continue to cream. Gradually add the vanilla and eggs and mix in well. Sift together the dry ingredients; then mix into the butter mixture alternating with the milk. Pour batter into cupcake paper-lined muffin tins filling them 3/4 full. Bake at 350 for 10 minutes. At the 10 minute mark, take your cupcakes out and spoon in some apple pie filling (directions below) to the center of each cupcake. I used 1 tbs for each cupcake and it turned out great. Peel your apples and dice them into small cubes. If you want thicker buttercream – add more powdered sugar. There you have it. 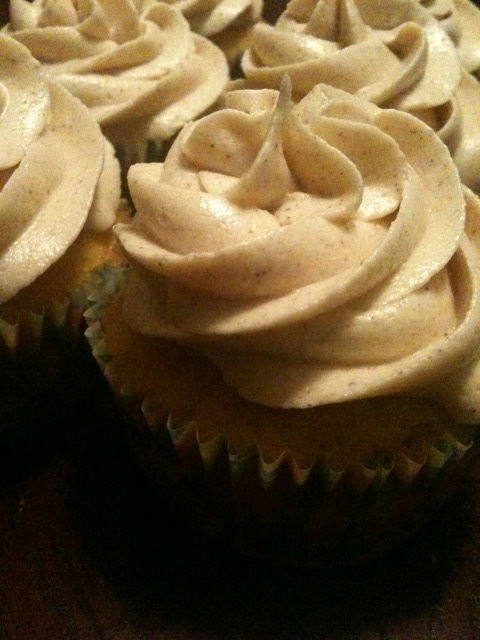 Frost your delicious apple pie cupcakes – top with some extra cinnamon if you want – and enjoy! These are going to be a definite addition to my thanksgiving dessert table. 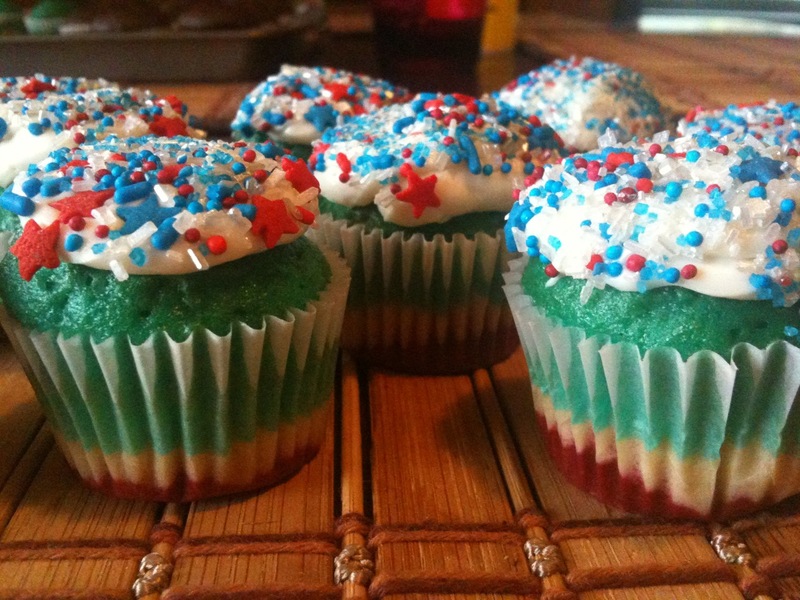 Is everyone ready for some fun 4th of July Cupcake ideas?? Ok good, me too! I’ll start with my really fun, and really easy Red, White, and Blue Minis. Vanilla or White Cake Cupcake Batter. My favorite recipe is this one! Pour your festive sprinkles on a plate – I like to combine a bunch of different types of sprinkles. It’s as easy as that! Absolutely the perfect size for kids to enjoy at a 4th of July BBQ! 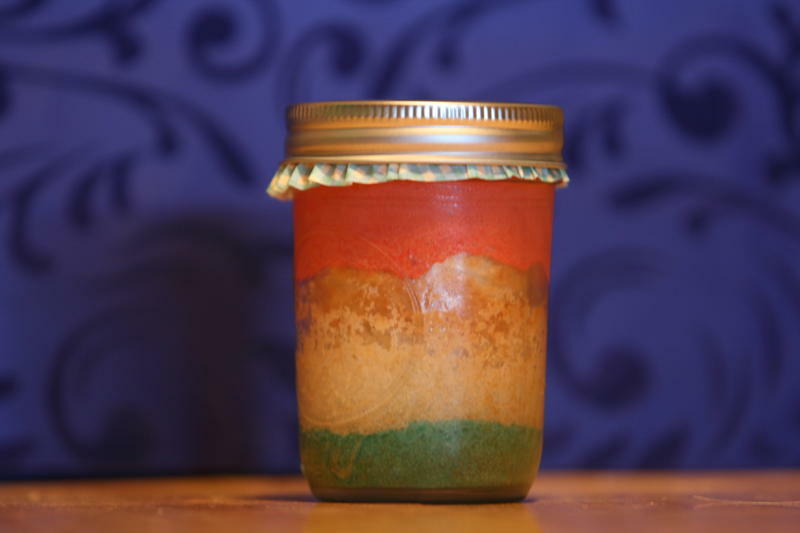 Like the idea of cupcake jars? 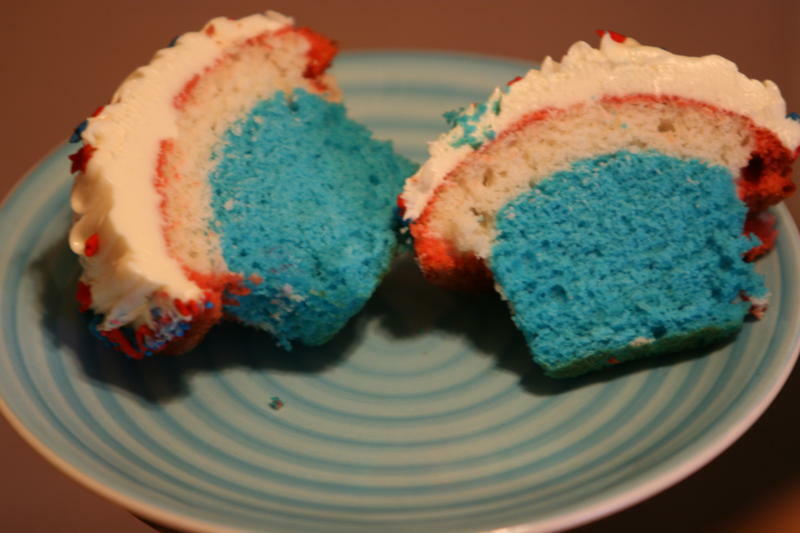 Just layer the cake and frosting in a red white and blue pattern and voila – the perfect 4th of July picnic dessert! Hope everyone is having a fabulous week and is ready for a relaxing holiday weekend. Happy 4th of July my loves! Hello my loves! Today I am so excited to share a super fun recipe with you! This weekend I was asked to cater a special “going away” luncheon. 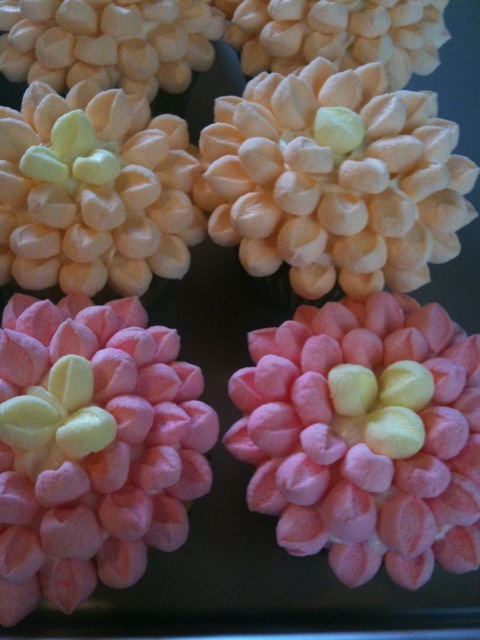 I decided to make summer flower cupcakes. They were so easy and the guests loved them! The set up and decorations were really fun too. 1. Preheat oven to 325°F. Fill cupcake pan with cupcake liners. 2. Sift together flour and baking powder. Set aside. 3. Cream butter and sugar together until light and fluffy. Set aside. 4. Beat egg whites until stiff, but not dry. Set aside. 5. With mixer at slow speed, add flour mixture to butter mixture, alternately with milk. 6. Beat well after each addition. Beat in vanilla extract. 7. Gently fold egg whites into batter. 8. Pour into cupcake liners. 9. Bake for 18-20 minutes. 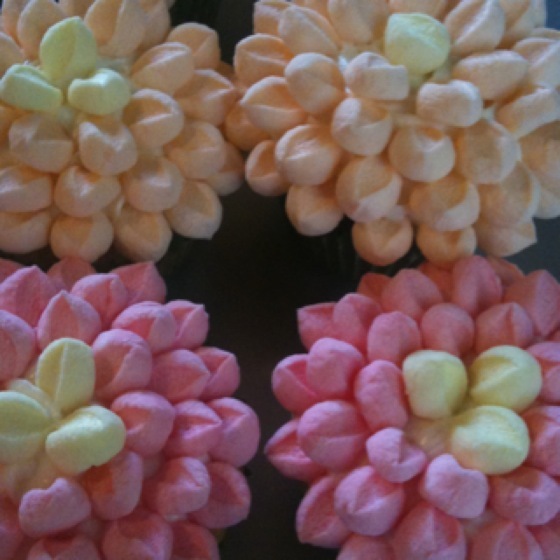 Bright Colored Marshmallows make these flowers POP! 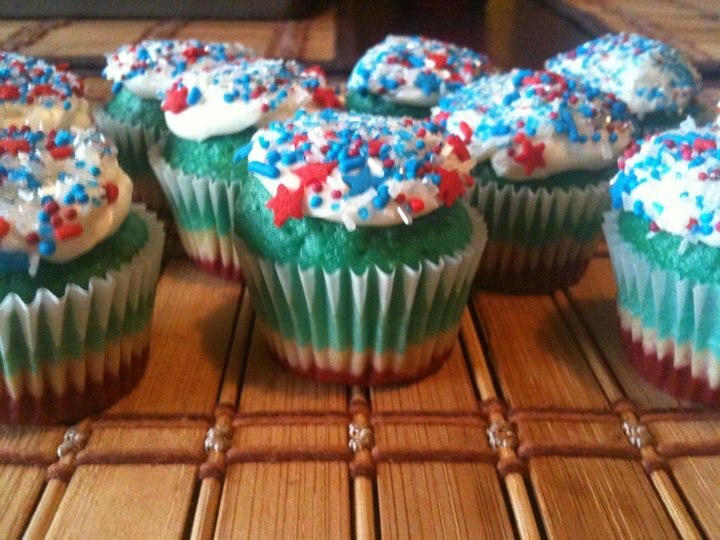 After your cupcakes have cooled completely, frost them. For best results, I used a piping bag to pie the frosting in a swirl on the cupcake. This gave the cupcakes a more polished look once the petals were placed on top. Starting at the outside edge of the cupcake, place the petals all around. Do this for 3 layers. Finish by putting a different color marshmallow in the center. I used yellow. ***Important note: These cupcakes should not be left uncovered or refrigerated, it makes the marshmallow petals dry put and look shriveled up. For the display, I used some pots from the gardening section of my local grocery store, covered them with some ribbon, and placed Styrofoam inside of them. 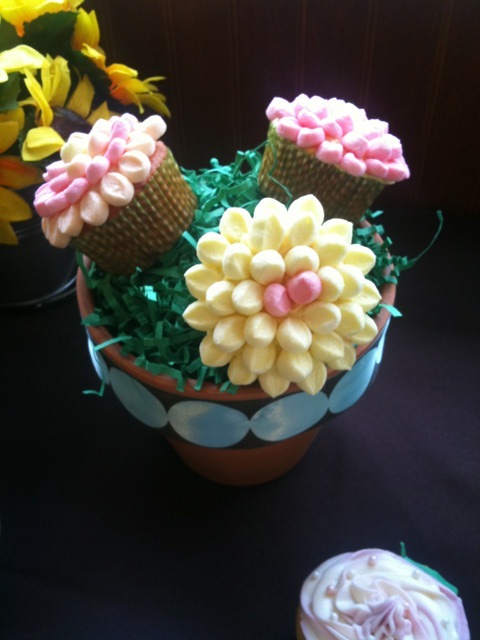 I covered the Styrofoam with some green “grass” and placed the cupcakes on skewers and stuck them into the pot. 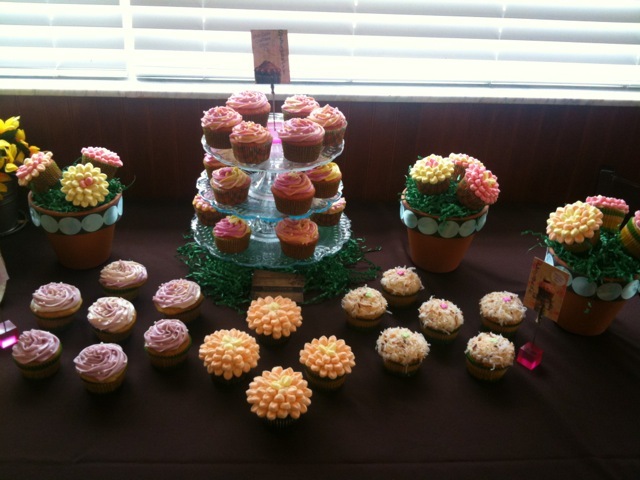 It turned out really cute and people were amazed at how creative the cupcakes were. 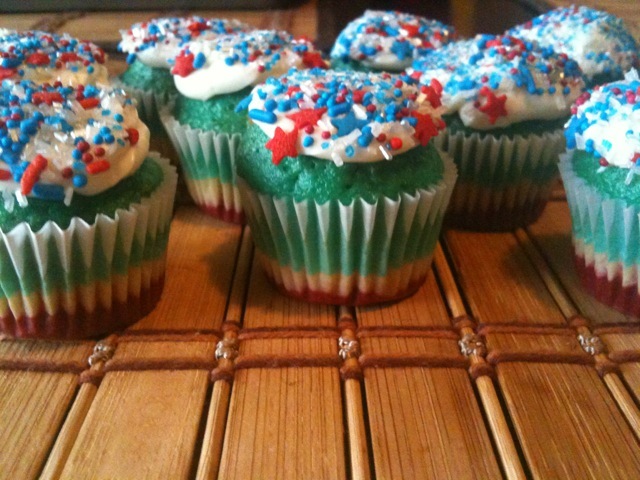 The best part was, these cupcakes were one of the easiest things I have done in a while. 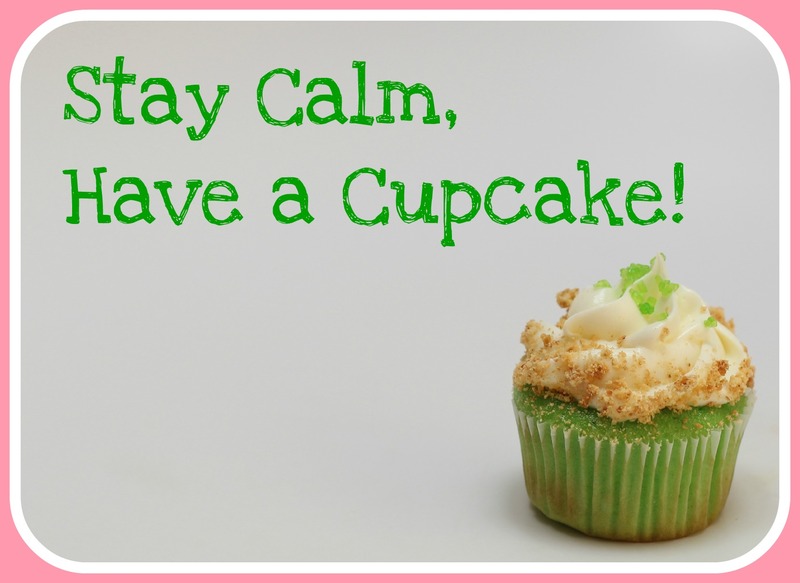 These cute cupcakes are a must for your next event! Let me know if you have any questions about the recipe.